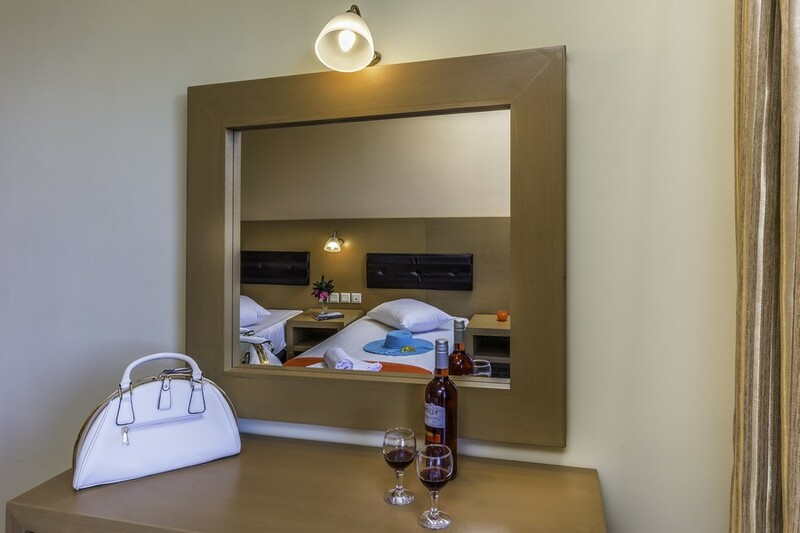 Welcome to Kozanos II hotel! Our hotel is a family run business located in Amoudi, a peaceful summer resort in Zakynthos. Kozanos II hotel is the perfect choice for you who wish to spend your summer holidays in Zante with your family or partner amongst lush vegetation and with the Ionian Sea as a background. 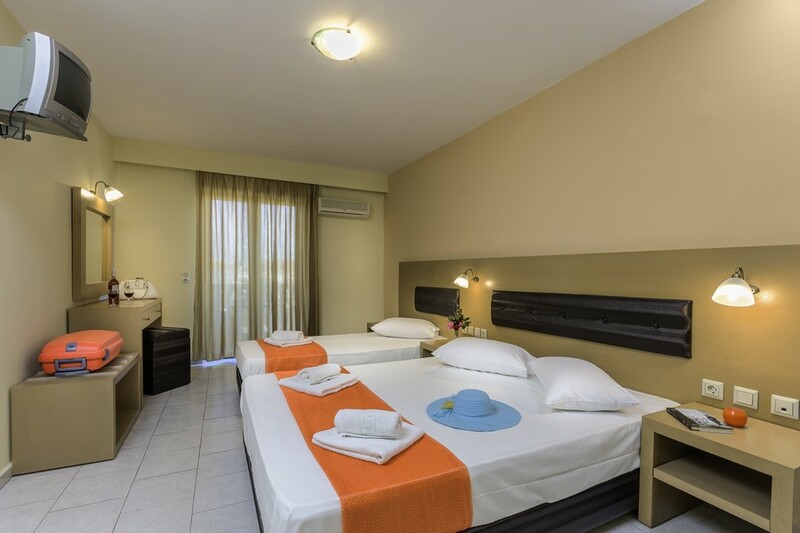 Our family invites you to stay with us and enjoy our comfortable hotel and bright rooms, within friendly service and the typical Zakynthian hospitality. 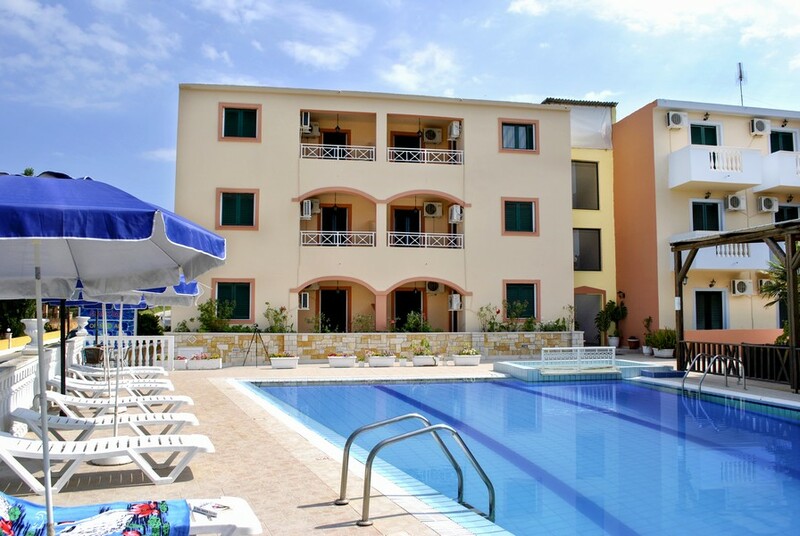 Kozanos II hotel consists of 6 one- bedroom apartments suitable for up to 5 persons and 18 studios suitable for 2-4 persons. 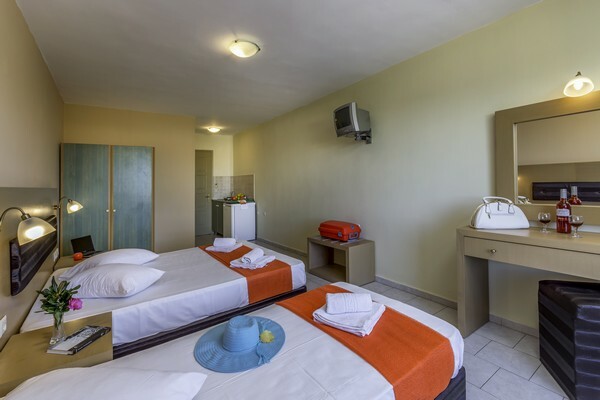 The spacious studios of Kozanos II hotel are fully furnished with 2 single beds, whereas there is the possibility to add up to two single beds. The studio offer wardrobe, make up mirror, TV, air-condition and kitchenette with the utensils for the preparation of a quick meal. 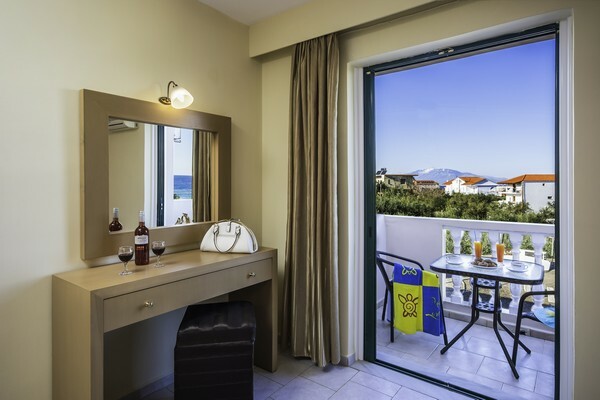 Also there is a private bathroom with shower and furnished balcony with sea or pool view. The spacious apartments of Kozanos II hotel are fully furnished offer two single beds and a separate bedroom with one double bed. 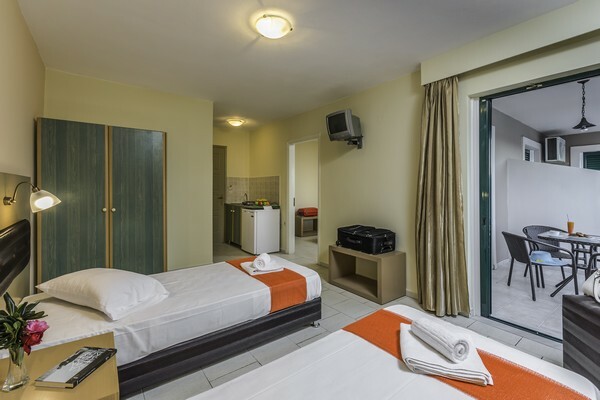 The apartments offer wardrobe, make up mirror, TV, air-condition and kitchenette with the utensils for the preparation of a quick meal. Also there is a private bathroom with shower and furnished balcony with sea or pool view. 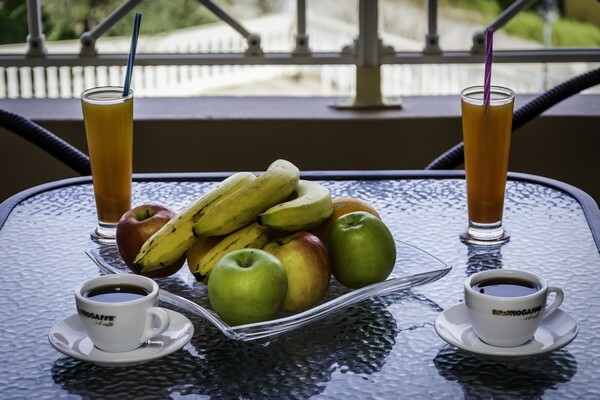 Great little hotel in the heart of Amoudi, well located to see the whole island. Nice pool. Clean rooms. Friendly staff. Plenty of taverns around. Easy access to ports and beach just a few steps away. Would defo use these guys again if back in area. 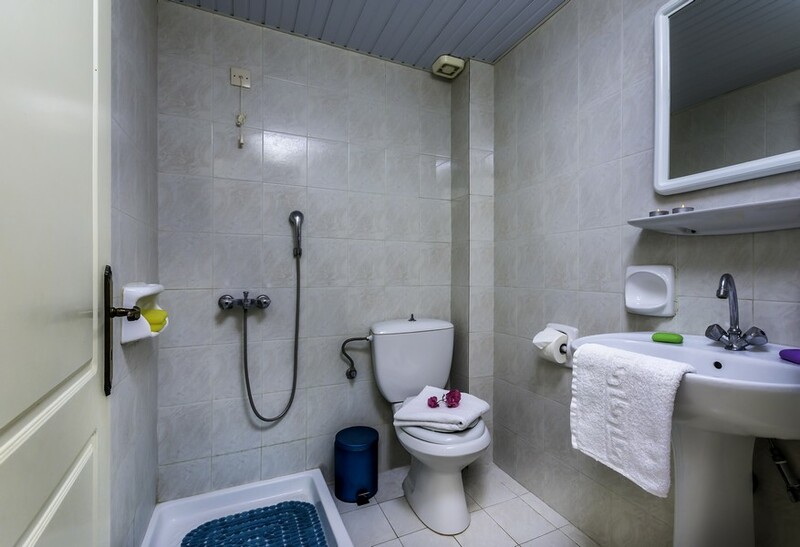 This is a lovely family run hotel. 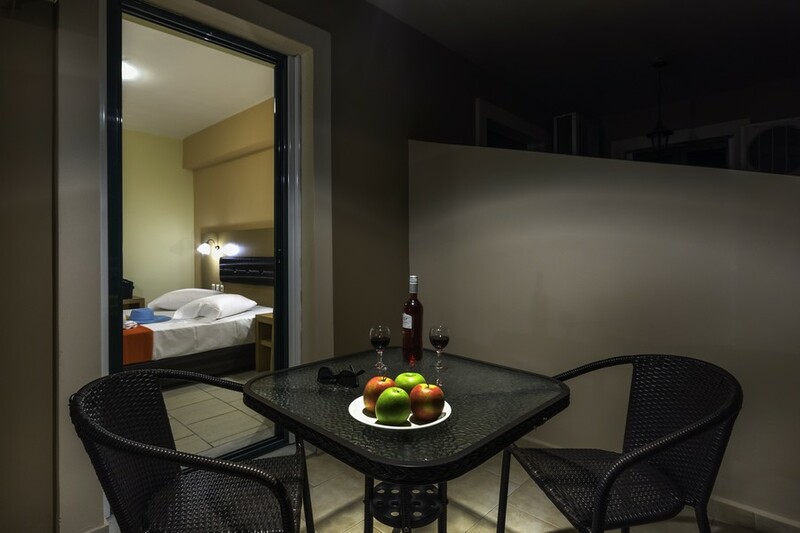 It was spotlessly clean and well situated for a quiet and authentic Greek experience. The pool was clean. Rooms had free air conditioning and were spotlessly clean. Basic yes but excellent value for money with friendly staff and service. The room was clean. 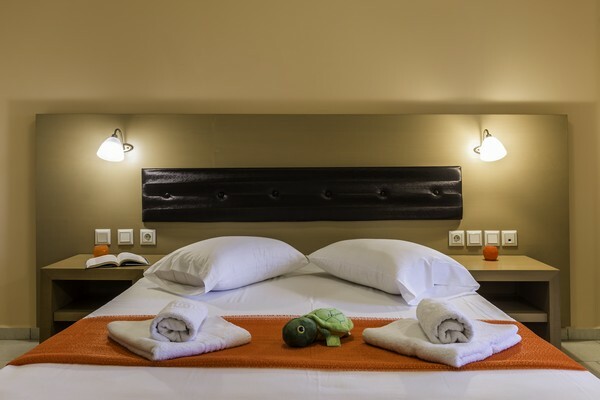 The towels and sheets changed everyday. Free aircon and free wifi. 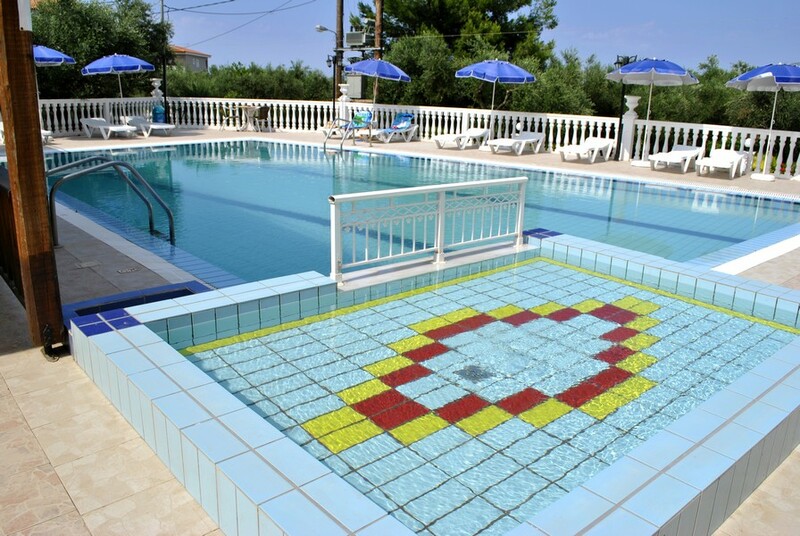 The pool was clean and very friendly and helpful staff. Actually not a hotel but hotel apts. Very satisfied. 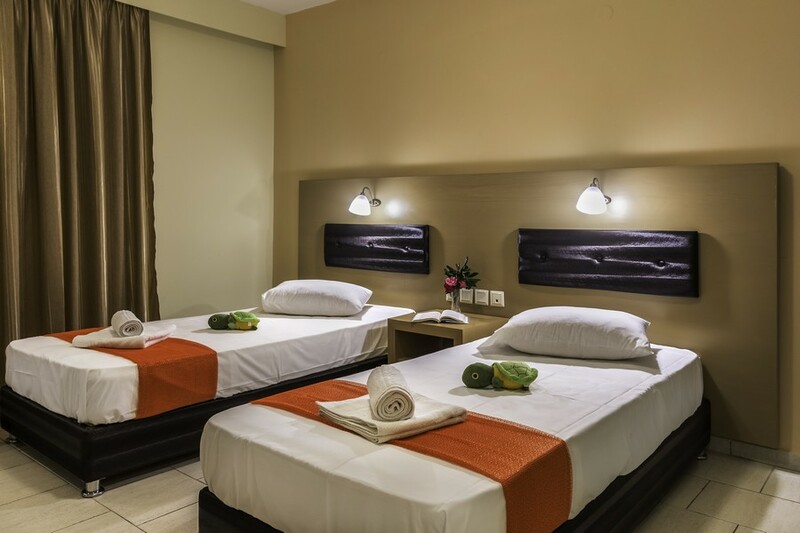 It is situated very close to supermarkets and restaurants. The seaside is across the street. Situated 1.5 km from the area alikes.